The nation states of the international community have obligations in international law to ensure the safety of ships flying their flags, and to adopt laws to prevent pollution of the marine environment from vessels under their registry. The right is also recognized of coastal states to apply such laws, subject to certain limits, to foreign flag ships whilst in waters within their jurisdiction. These rights and obligations are set out in the United Nations Convention on the Law of the Sea, 1982 (UNCLOS). Provided they fulfil these obligations in respect of their own vessels, and observe the limits of their powers over foreign-flag ships, states are in principle free to adopt and enforce their own independent laws. In practice however there are many compelling reasons why they have generally agreed on uniform rules and standards, and have given effect to these by legislating in harmony with each other. Ships engaged in international trade commonly pass through the waters of several coastal states in the course of a single voyage, and over time they may call at the ports of many nations. It could be very difficult and prohibitively expensive if they had to comply with a patchwork of different national rules and standards. Shipping is not only an international industry but also a multi-faceted one, with ships being designed, built, owned, crewed, operated, chartered, maintained and insured by a variety of professionals in the international maritime community. Needless to say, their work is more effectively done if they are guided by uniform standards with which they are all familiar. A uniform approach also has other benefits from a public interest perspective. By pooling their sources of information and expertise, rather than acting unilaterally, states are better able to devise laws which are well researched, practical, and likely to be effective. They are also better placed to monitor and enforce compliance through cooperation with each other in inspecting ships and investigating alleged violations. 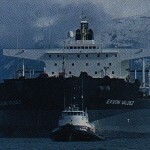 For reasons of this kind, shipping was the first industry to be regulated by international standards. In 1948 the International Maritime Organization (IMO) was founded as a specialized agency of the United Nations. 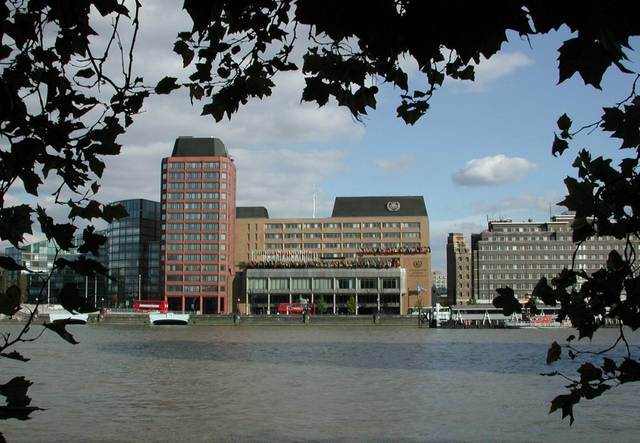 Known until 1982 as the Inter-governmental Maritime Consultative Organization (IMCO), the IMO has a substantial number of member states and is served by a secretariat at its headquarters in London, where its assemblies are held as well as regular meetings of its specialized committees. The main role of the IMO is to create a regulatory framework for the shipping industry that is fair and effective, universally adopted and universally implemented. Most maritime laws relating to ship safety standards, and to the environmental aspects of shipping, are based on IMO instruments – international conventions, and protocols by which these have been amended. 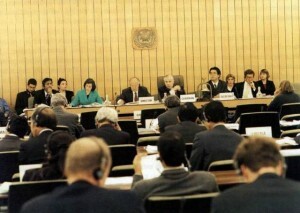 Whilst there are other sources of international law in this field, such as the 1989 Basel Convention on the Control of Transboundary Movements of Hazardous Wastes and their Disposal, and various regional conventions applicable to specific marine regions, instruments of this kind are normally of more general application, and those adopted under the auspices of IMO have the most direct relevance to shipping. Uniformity has been favoured not only in regulations to prevent pollution but also in compensation arrangements to pay for pollution damage, clean-up expenses, removal of wrecks and similar costs. The liability of shipowners to pay proper claims of this type is reinforced by requirements of compulsory insurance or other financial security, normally provided by shipowners’ protection and indemnity (P&I) insurers. Compliance with these requirements is controlled by a system of certification which is feasible only on a uniform international basis. This is a central feature of IMO Conventions dealing with liability for oil pollution from tankers, damage caused by carriage of hazardous and noxious substances, pollution from ships’ bunkers, and removal of wrecks. Similar considerations apply to supplemental compensation provided by the International Oil Pollution Compensation Funds and (when the 1996 HNS Convention enters into force) by the HNS Fund. The IOPC and HNS Funds are technically not UN agencies but are inter-governmental bodies run on very similar lines. Supplemental compensation of this kind they provide – and which is normally payable when claims exceed the limit of the shipowner’s liability – is financed by a system of contributions from oil receivers and other cargo industry interests in member states. This system is viable only if a consistent approach is taken, both to levying of contributions and to payment of claims, under the auspices of an international body. 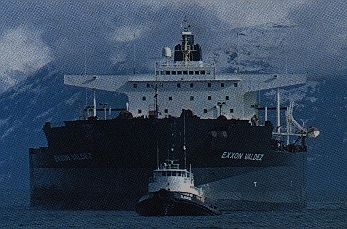 Valdez incident in 1989, and various legislative measures introduced by the European Union after the Erika and Prestige oil pollution incidents in 1999 and 2002 respectively. Nonetheless, even states which have taken unilateral measures have continued to recognize the importance of international regulation to govern the world fleet, and to avoid or reduce pollution of their coasts from passing maritime traffic. The work of the IMO is not limited to adopting new conventions but includes keeping these under review and updating them in the light of lessons learned and other developments. 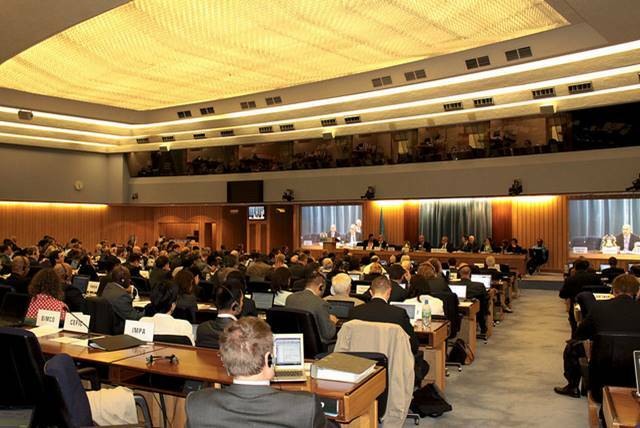 Revision of SOLAS is the function of the IMO’s Maritime Safety Committee (MSC); laws dealing with prevention of pollution, including amendments of MARPOL, fall within the remit of its Marine Environment Protection Committee (MEPC); and revision of liability limits in compensation regimes is a matter for the Legal Committee (LEG). 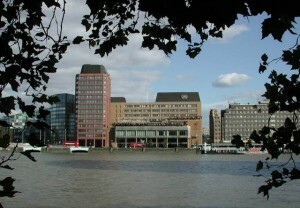 Meeting in progress at IMO Headquarters in London. To facilitate the process of modifying IMO instruments the majority of these now incorporate the so-called “tacit acceptance procedure”, whereby a time limit may be set for contracting states to notify their acceptance or rejection of a proposed amendment, and for silence to be treated as acceptance. This has enabled SOLAS, MARPOL and other regimes to be amended on many occasions without undue delay. Similar considerations apply to the work of the IOPC Funds. Whilst these do not have any law-making function they have played an important role in encouraging support for the Civil Liability and Fund Conventions, and in promoting a uniform application of the regime in member states. Agreement on international rules to prevent pollution from ships, to provide compensation for environmental damage, has often required a balance to be struck between the interests of nations with predominantly coastal state concerns (notably protection of the environment) and those of flag states and shipping nations. The latter bear the greatest burden in administering and complying with maritime regulations; they also have the greatest interest in maintaining uniformity of global regulation and freedom of navigation. The development of new laws, the revision of existing ones, and agreement on guidelines, practices and policies in this field, typically involve debate and negotiation at international bodies with participation of non-governmental organisations as well as member states. Industry observer delegations participating in IMO proceedings. 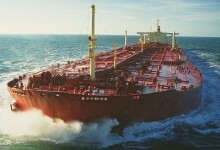 Prominent shipping, oil and and insurance industry NGOs include bodies such as the International Chamber of Shipping (ICS), the International Association of Independent Tanker Owners (INTERTANKO), the Oil Companies International Marine Forum (OCIMF), the International Group of P&I Clubs and the International Union of Marine Insurers (IUMI). 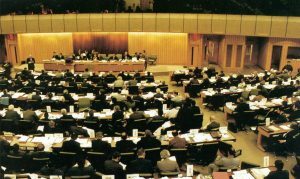 The input contributed by industry bodies represented at the IMO, IOPC Funds and other inter-governmental bodies commonly includes much of the factual data and expert assessment considered.